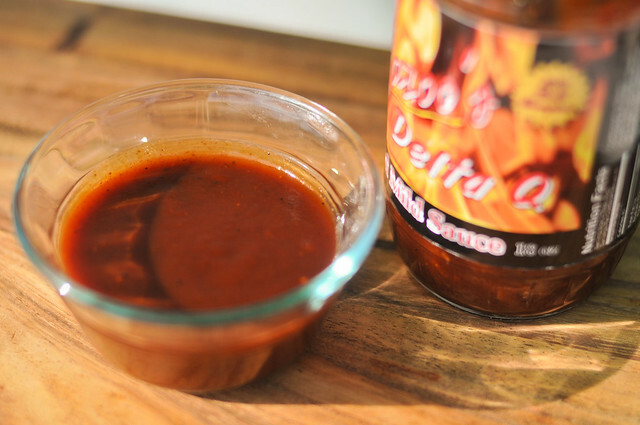 This sauce created exemplary barbecue chicken, with a robust flavor and leaving a perfectly caramelized finish. Unfortunately, that great balance was not as in tune right out of the jar, but it still was pretty good. 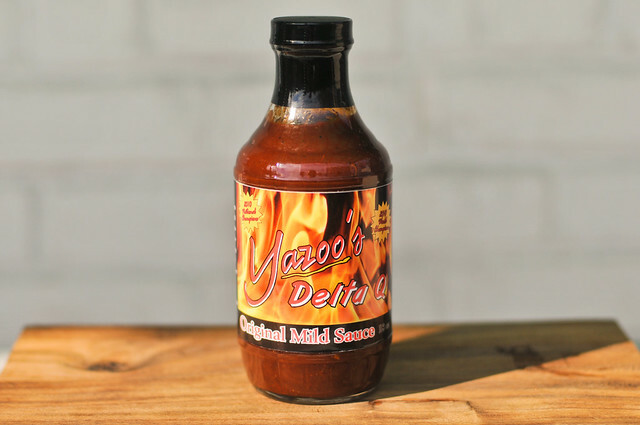 Yazoo's Delta Q competition barbecue team hails from Nesbit, Mississippi. Pitmaster Melissa Cookston has gained notoriety by racking up 25 barbecue championships, including a 2010 1st place for whole hog at Memphis in May. 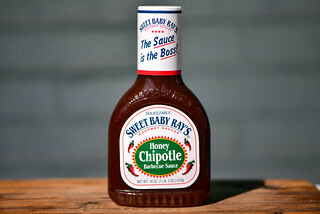 This sauce has been developed through the years of competition, and it's sure to have adorned some of that award-winning 'cue. A strong tomato base is the strongest, most defined note. After the ubiquitous vinegar, which is not as heavy-handed as a lot of sauces, there are faint traces of garlic and black pepper. There is also a deeper sweetness under the tomato that is unmistakably molasses. On the thinner side of medium thickness, this opaque sauce has an uneven drizzle of the spoon. There are visible chunks of garlic and onion, along with specks of black pepper. Tart and strong, there wasn't much sweetness going on here. A vinegar burn lingered on the tongue as large chunks of onion and garlic added distinct, extra flavors and added a crunchy texture to an otherwise smooth sauce. There was also something a little odd with this sauce that I can't quite put my finger on. It's not bad, just a combination of flavors that left me guessing what was going on. This sauce really showed it's true colors after being cooked. 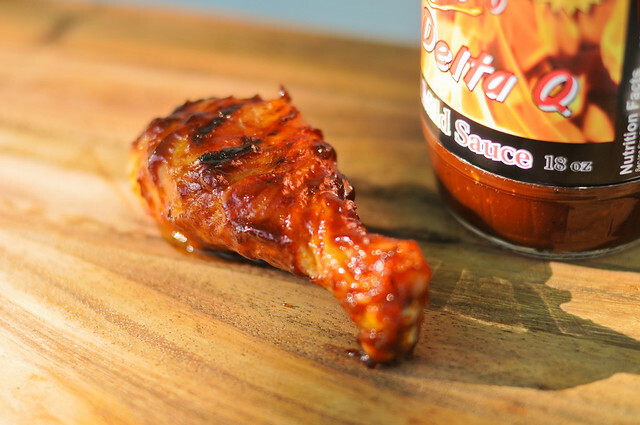 It achieved multiple layers of sauce baked into the chicken, with a perfectly caramelize crust, creating one beauty of a leg. 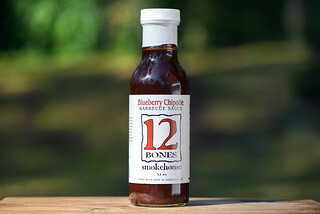 The sticky coating struck the right balance between sweet, tart, and spicy that exemplified good barbecue chicken. I wasn't as crazy about the sauce straight as I was after it was cooked. Whatever weird flavor combination was happening raw came into balance after taken to the flames, and it showed excellent grilling properties. 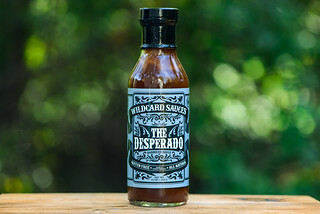 With a robust flavor and leaving a beautiful finish, I would use this sauce when you're out to impress, on anything from chicken to ribs to seafood.